The Club Room at Miller Memorial golf course in Murray, Kentucky provides our guests with a comfortable setting for lunch as well as relaxation. The beautiful room is equipped with a TV and a computer. 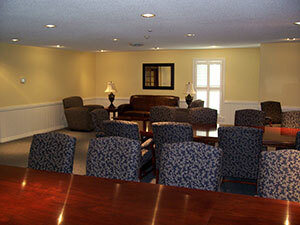 The Conference Room, housed in the Clubhouse, provides ample seating for meetings and other functions. Call the Pro Shop for more information.